From the opening event on Saturday night to the closing Plenary session on Tuesday, the ACLEA Annual Meeting brings you speakers who will inspire you, change your perspective, and give you the tools to make a difference in your organization. Need assistance getting approval to attend? Download the ACLEA Meeting Toolkit and Sample Letter. 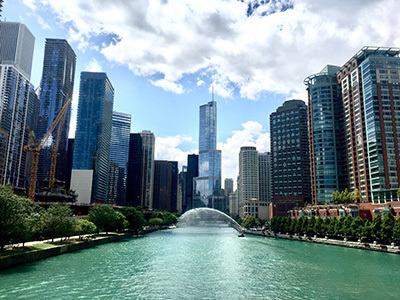 Why Join Us in Chicago? Learn about the latest industry changes to better your career. The Annual Meeting Planning Committee has put together a comprehensive program with attention to all interests for continuing legal education professionals. In addition, a Boot Camp training program is offered for those beginning their career or transitioning to new postitions in CLE. Strengthen your network with industry leaders and your peers during multiple scheduled events as well as impromptu meet-ups. The ACLEA Annual Meeting is a great place to meet with other continuing legal education professionals. Get inspiration for your business and your professional development by visiting the exhibit hall and connecting with vendors, the presenters, and other attendees. Special Thanks to Our 55th Annual Meeting Planning Committee!